First of all I want to apologize for the lack of proper orthography in the use of the Yoruba (and related) names in this article. On the cover of the Dutch edition the orthography is used, but in between the covers the words are stripped to their basic essentials. SBO is a Nigerian lady who was born in 1935 in Ondo State. She studied in Nigeria and abroad and published many books and articles. She learned the language of the Yoruba people (mainly in Nigeria) and made a thorough study of Yoruba thought and philosophy. 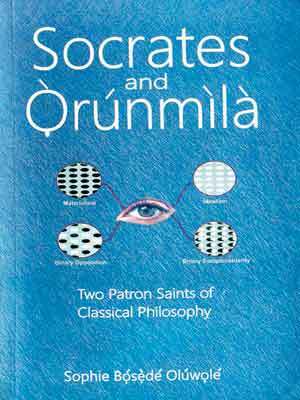 In 2017 the third edition of her ‘Socrates and Orúmilá; Two patron saints of classical philosophy’ was published. The Dutch version (that I have read) is based on the third edition, but it is not a translation. In close consultation with the writer the book has shed its academic tone to reach a general readership and the order of the book has been changed as well. So I consider this book to have been written by SBO even though it differs from the original. In the adaption the proper orthography is not being followed (just as in this booknote ;)), but I do not know how this has been handled in the original English edition. This edition starts with an introduction by the translator and editor Saskia van der Werff. In it she describes the position of African philosophy on the world stage. The African philosophy is positioned on the side of practical and intercultural philosophy as opposed to comparative philosophy. She sees African philosophy as a specific way of thinking that has been sidelined by the West [or the North]. It has the marks of complementarity and respect for human experience. 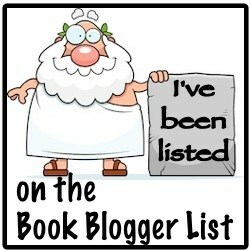 In part I of this book SBO writes about The two main characters of her book: Socrates and Orunmila. She sees both of them as patron saints [a term coming from a specific christian tradition] of classical philosphy. According to SBO these two have remarkable similarities, so why did one did not make it to the ‘Hall of Fame’of philosophy. SBO looks at both from three different perspectives, without being able to see more than an illusion. The caricature of S. en O.; the exemplary S. and O. ; the historical S. and O. ; followed by the Socratic problem (since the 18th century) and the Orunmilatic problem (did these people live actually in real life or were they historical props?). Next in this part of the book SBO sketches the content of thier thinking on the basis of several topics. For the content of the thought of Socrates we depend on Plato and others, for those of Orunmila we depend on the Ifa-collection (a written account of a long tradition of oral texts). Some of the topics that have been touched upon are: thinking, the limits of our knowledge, truth and wisdom, necessity of education and critical thinking, human way of life, fate and fear of death. Following Part II of this book is a collection of addenda: * parts of the Ifa corpus (with an explanation of the omission of the proper orthography) with a translation in to English and into Dutch; * biographical and academic information on BSO [including a very wrong translation of a booktitle]; biographical information on some philosophers from the African continent, like Senghor, Wiredu, Oruka and Ramose [who taught in Venda and South Africa, I thought Venda was part of South Africa, or does BSO follow apartheid classification? ]; * bibliography * a word of thanks by BSO; * notes on the translation and editing of this book; * register. This book gives food for thought and food for discussion (or should I say ‘dialogue’ instead of ‘debate’, one is inclusive and the other is exclusive, the one is African, the other is western.) I think SBO could have focussed more on the African part of her book, instead of hauling western philosophies (plural !) into the discussion. Maybe this not complementary dualism, but it could have clarified more the position of Orunmila and the Ifa-corpus.